When an intelligent man asked an intelligent question, the result was that the way in which Radio interconnects was changed completely. Jeff Littlejohn, Executive VP – Engineering & Systems of iHeartMedia Engineering asked why there wasn't an appliance to take Audio over IP from studios and exchange it with SIP-connected Voice over IP devices in order to have the most efficient communication with remote contributors. For us, that challenge started a most exciting two years, moving as fast as we could to deliver a working system to meet the challenge plus a few more challenges of our own. 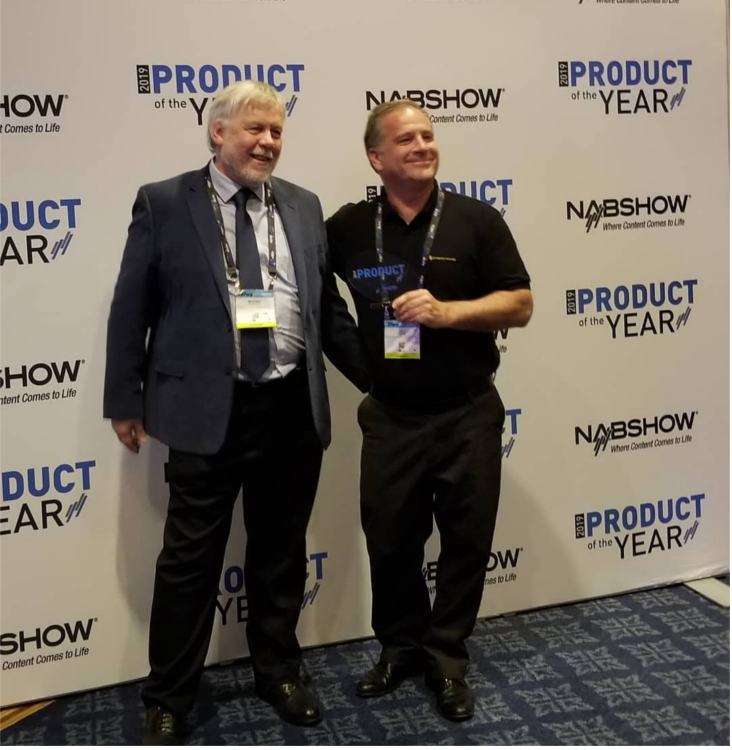 At NAB 2019, SwitchBlade, our product to respond, was awarded the prestigious "Product of the Year, 2019" by the National Association of Broadcasters at the NAB Spring Show in Las Vegas. We also won "Best in Show" award from Radio World. The link takes you to another picture of Radiomation Managing Director, Michael Farrell with Jay Tyler, Sales Director, Wheatstone, distributors of SwitchBlade in the Americas and Canada. We're taking a little bow, but because it happened in Vegas, we'll say no more about it.